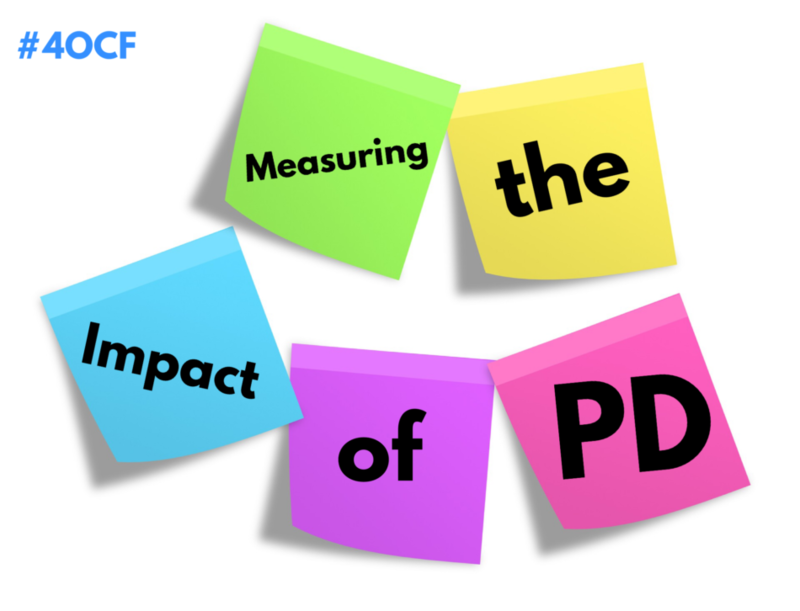 How do we measure the impact of PD? A session is offered once, and teachers might learn a new skill or strategy, but have little time to implement in the classroom. There is no follow-up session, and no additional training in the classroom. Additional follow-up only happens if a teacher is still interested and finds time on his or her own. Many districts still offer a series of unrelated, disjointed PD sessions that have no carry over in the classroom. So the question becomes, how are these school districts measuring the impact of their professional development program? How are they gathering feedback? And more importantly, using feedback to adjust? Are the One and Done sessions having an impact in the classroom with students? If not, it’s time to change practice. Delivered by local experts who can help you to grow regularly. Let’s make it happen (again and again, instead of just once)! For more PD ideas, check out The Four O’Clock Faculty: A ROGUE Guide to Revolutionizing Professional Development.